There simply aren’t enough mental health specialists to provide effective care to everyone in need. Even in the United States, only 1 in 10 adults with a mental health problem sees a psychiatrist in any given year, and that number drops dramatically in many parts of the world. Telehealth can improve access to specialty consultation for patients with common mental disorders or substance abuse by linking specialists at academic or regional health centers with healthcare providers in underserved areas. Compared to in-person care, most studies have shown telepsychiatry to be reliable in diagnosing and treating an array of conditions across the age span from children to the elderly. "Telehealth supports primary care providers by reducing provider isolation, allowing them to provide mental health care in their clinics rather than sending patients to a distant mental health center, and by providing an opportunity to learn how to treat patients by participating in consultations and receiving case management support." Rural communities are severely disadvantaged by limited or non-existent access to psychiatric specialists. This lack of mental health services leads to under-treatment, higher rates of suicide, increased use of emergency services, and hospitalizations. Compounding the problems related to inadequate access to mental health care, primary care providers in rural areas report having inadequate skills to manage mental health problems, especially serious psychiatric disorders and conditions aggravated by co-occurring substance abuse. Telehealth supports primary care providers by reducing provider isolation, allowing them to provide mental health care in their clinics rather than sending patients to a distant mental health center, and by providing an opportunity to learn how to treat patients by participating in consultations and receiving case management support. Telehealth can also provide training opportunities for developing a workforce of people who can effectively treat common mental health disorders. Psychiatric consultations via telehealth to primary care providers, care managers, and patients is central to Collaborative Care; more than 80 randomized controlled trials have shown Collaborative Care to be more effective than usual care and its ability to achieve the Triple Aim of improved patient care experiences, better clinical outcomes, and lower health care costs. 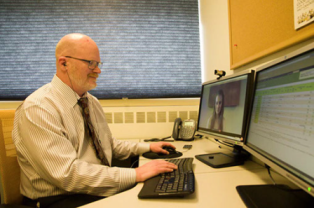 A video-supported consultation with a psychiatrist has roughly similar costs to an in-person visit plus relatively minor costs to support web-based video technology.